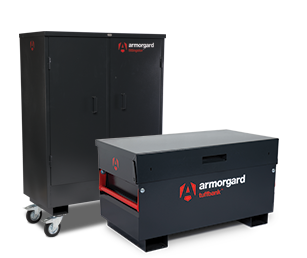 Register your armorgard product today. It’s very easy, just follow the the instructions and fill in the form online. This allows you to benefit from our replacement key and lock services, as well as staying up to date with our exclusive offers and promotions. Take a few minutes to register yours today! Each set of keys feature an individual serial number which is linked to one specific box. In the event of a damaged or lost key the serial number allows us to supply you with a replacement key through your distributor. Just quote us the serial number and we'll take care of the rest. Should anything go wrong with your locks, we can supply you with replacements through your distributor, which are easy to fit to your product. These come complete with new keys to suit the new lock. All we need to know is the serial number on the box, so as to match up the new keys with the correct serial number, which therefore allows us to continue the key replacement service. seems to be the best on the market. sturdy build and secure design. I have not been in any way disappointed aftet it has been delivered. value for money and product specifications are better than other makes. was impressed with product reviews online. also, there is key register service, which encouraged me to buy it.